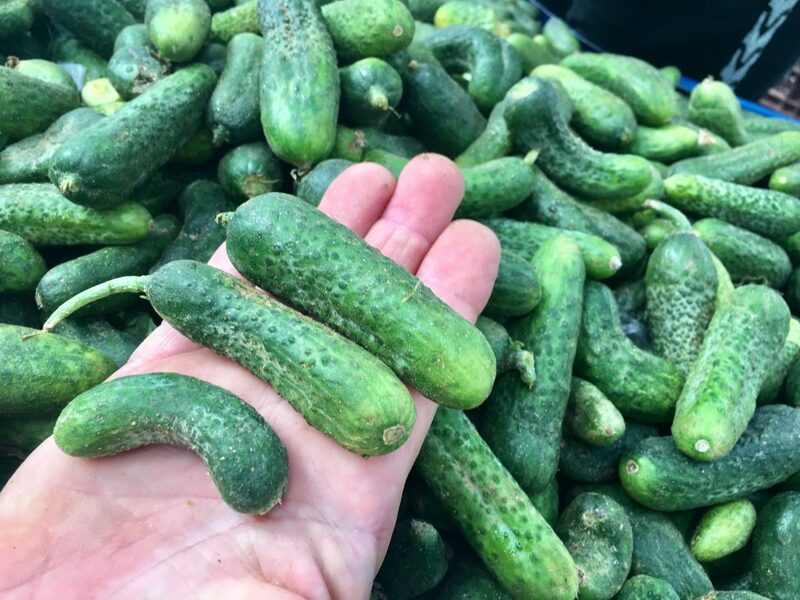 Late Autumn is when the ‘kornişon’ or small gherkins appear in the markets. 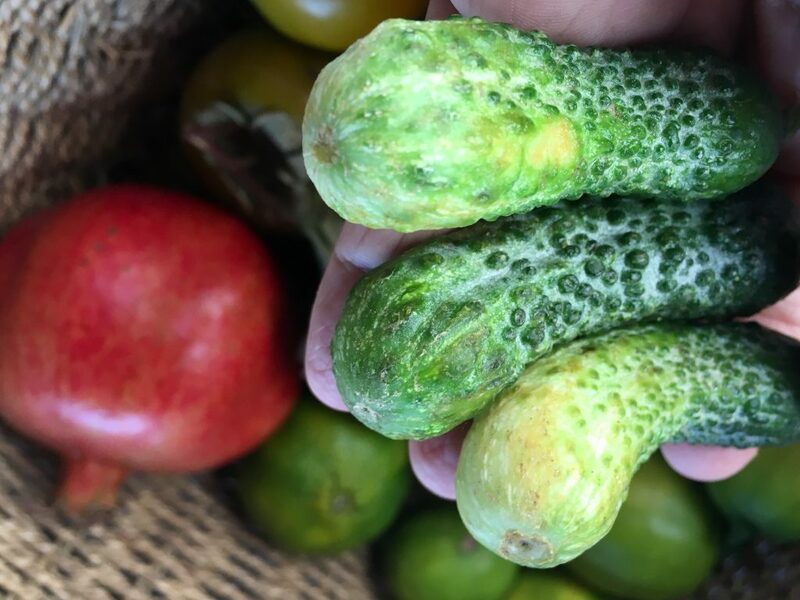 They actually appear twice a year but if you are interested in pickling them, you need to make the pickles with the Autumn crop. I have been told by several villagers that the Spring crop will not stay crunchy in its pickling juice whereas the October / November (Autumn) crop will still be good a year later in their jars. Once pickled they can be eaten after just 2 days. Some people in Turkey might wonder why you would even bother as they are so incredibly cheap to buy in the the shops, ready made. 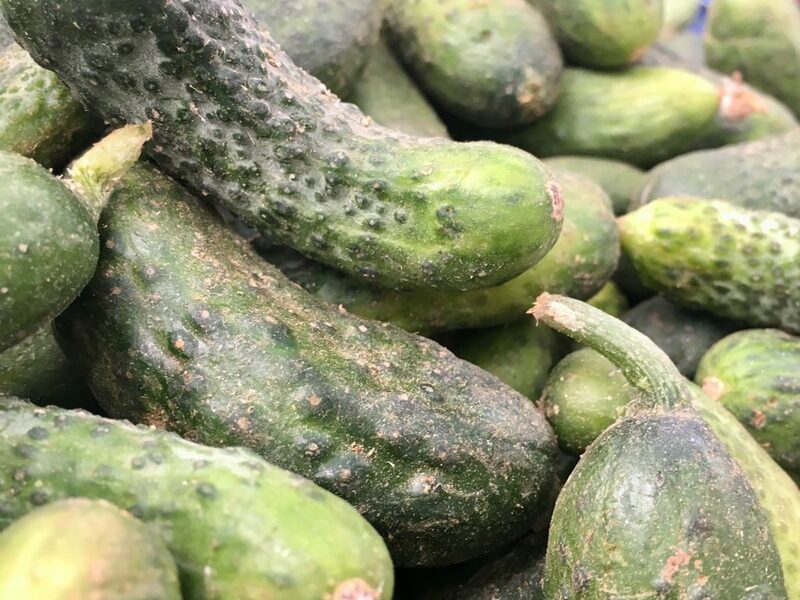 However, I always love to have my own homemade edition and actually it is a very quick process to pickle them and I don’t believe you can get tastier ones than this recipe provides. 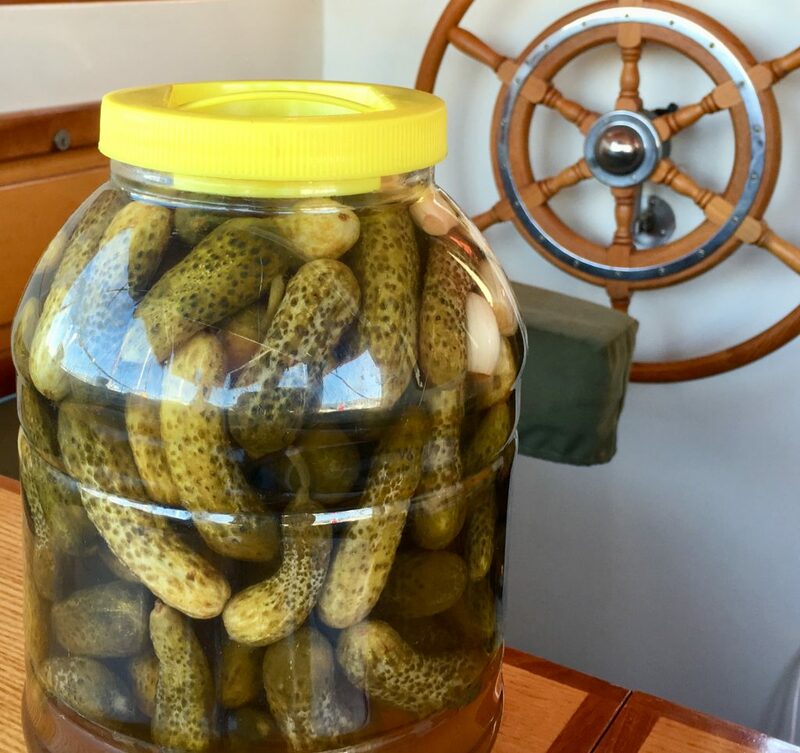 When making these gherkins, try to look for nice dark green ones with as few blemishes as possible. They should feel quite hard without any soft spots and preferably the ends have not turned yellow. Many stall owners will not let you pick through them but as they are so cheap you can consider buying extra and just tossing out any that don’t make the grade. In Turkey it is difficult to find really small gherkins. These are about as small as they offer. Well, in Finike anyway. See the middle gherkin? 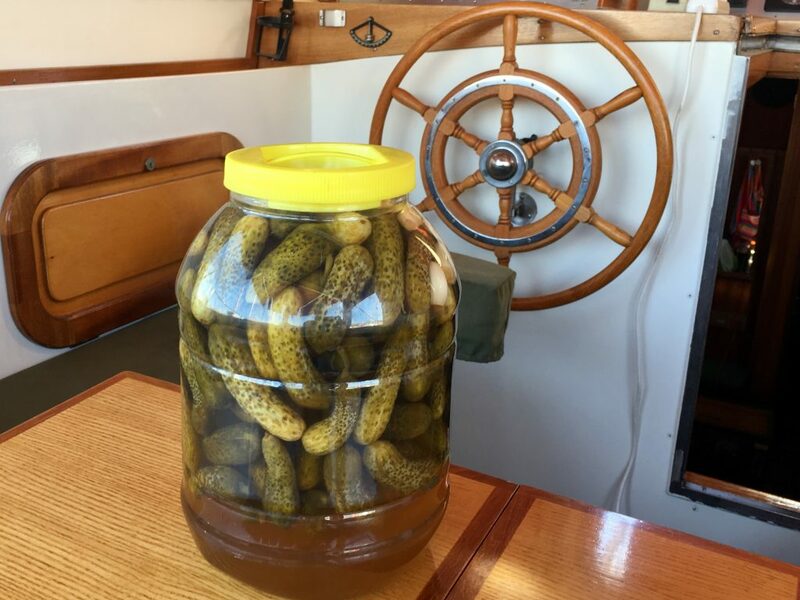 I would personally be trimming both ends of this gherkin before pickling it. The size is up to you. I go for the smaller ones but the benefits of the larger ones is that they are easier to cut up for sandwiches or salads. This recipe is for a delicious savoury pickle, popular in Turkey and many European countries and is not sweet in any way. The first thing you are going to have to do when you get them home is wash them. I soak them for about half an hour and then give them a gentle scrub if needed. Mine clearly did need it! I then rinse them a few times and make sure they are pristine before continuing. If possible avoid gherkins that have light coloured ends. The darker the better. The whole process can be done in under an hour and I found it quite enjoyable. Being able to start eating them within 2 days is definitely a bonus and they do stay crisp for months and months. In fact, I made a huge batch a few years ago and found I had some left after a year. They were still really crunchy and delicious. Perhaps you can find them in your markets at home still before winter actually arrives.